"ScanCAD embraces digital twin, the link between virtual and real, unleashing creativity and innovation combined with manufacturing quality and reliability." We are honored to have been selected as one of the top 10 machine vision solution providers for 2018 by Manufacturing Technology Insights. 2018 culminated in a major software release for ScanCAD with support for a brand-new vision platform. The new platform support brought with it almost 300% reduction in imaging time, 33% improved accuracy, virtually unlimited image area, and 900% longer intervals in between calibration. We are committed to excellence in machine vision and look forward to continuing to work in conjunction with our partners and customers to solve an ever-changing tapestry of manufacturing problems. Take a look at the full article below! Read the Editorial by Laura Davis, Editor in Chief at Manufacturing Technology Insights. See links below to access the article. For a long time, many board shops and fab houses had their own standards for component pinout and rotation for component placement. The zero-orientation of a component refers to the location of pin 1. There are 2 different standards for this rotation - the first is referred to as “Level A Zero Component Orientation”, where pin 1 is in the upper left most corner of the particular component. In 2009, a sub committee of the IEC redefined the zero orientation named “Level B”, stating that pin 1 is in the lower left most corner. Above: A resistor and a SOIC on a circuit board, next to their Level A zero rotations. In either case, component pins typically count upwards in a counterclockwise direction. The components’ theta value/rotation increases as the component is turned counter-clockwise. These two orientation rules are still the predominant rotations you will want to program components with when setting up component centroid and footprint libraries in ScanPLACE and ConvertPLUS. Typically, ScanCAD uses the Level A orientation — most of the boards that go through our Service Bureau for reverse engineering are set up this way. Below is a link to the standard zero orientation list for components. It is fairly inclusive but you can always ask us about component rotation if you're not sure! Digital Data Manufacturing (DDM) merges the power of 3D printed electronics & manufacturing with the additional processes of milling/polishing, pick and place, automatic optical inspection and electrical test/measurement, etc. The state-of-the-art of DDM now permits creating substrates and packages with interconnects and vias, placing electronic components, combined with pre and post processes and metrology. In a perfect world of reverse engineering, you could obtain a damaged PCBA, slap it on a scanner, click a few magic buttons, and then send your flawless new gerber data to a board fab house for reproduction. However, as you may already know, this is rarely (if ever) the case. 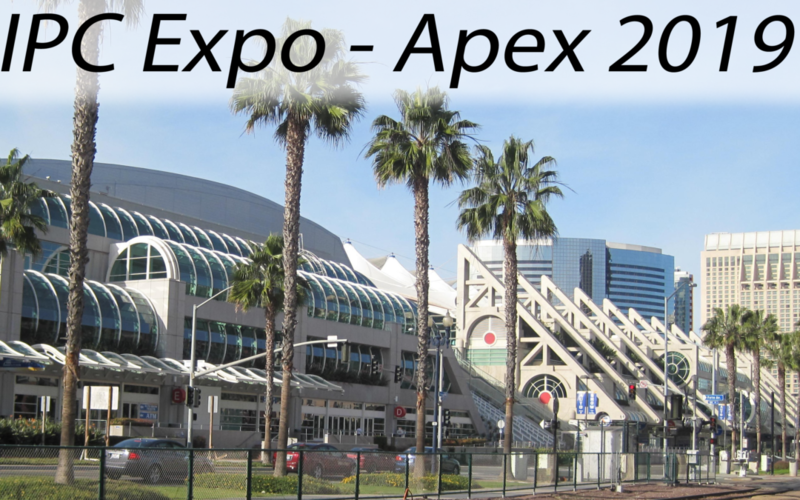 This year we were able to take part in the IPC Apex 2019 convention in San Diego — a wonderful opportunity for those who can make it. Despite the heavy snowfall surrounding ScanCAD’s departure (and the fact that some of our show booth decided it wanted to take its own vacation at a different airport), Apex 2019 was a wonderful event that allowed our family to make some great connections with like-minded companies.